Our family caring for yours. Our annual coat drive kicks off in October! Each year, we receive many requests from people in our community who need warm clothing. 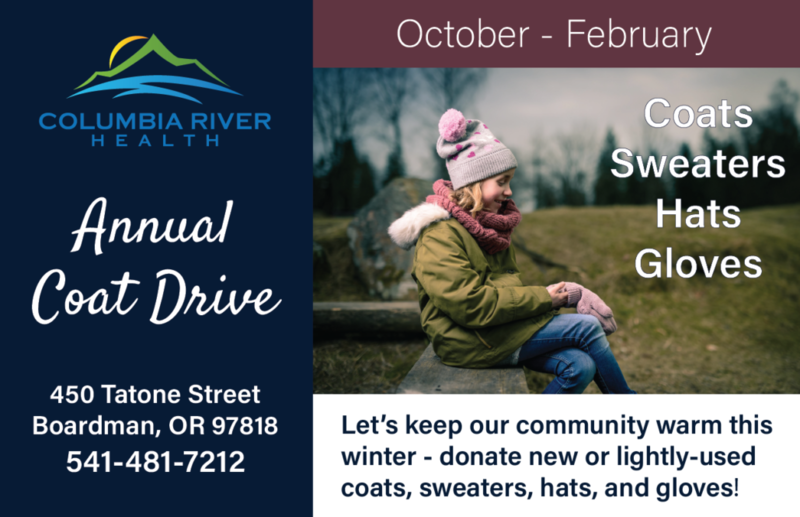 Please help us to keep our community warm this winter by donating new or lightly-used coats, sweaters, hats, and gloves! ← Umatilla Pharmacy Open House November 8th! Stay connected – like & follow us! Get control of your diabetes! It’s time for your flu shot! Umatilla Pharmacy Open House November 8th! Umatilla Pharmacy – COMING SOON!